But there is also the fall. 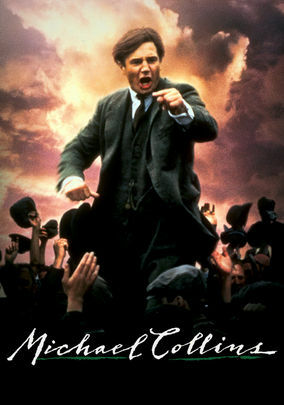 Michael Collins shows the pretty rivalries, greed, and political miscalculations that can destroy any movement from within. This is not a paean to militancy for militancy’s sake. It is a warning of the costs of violence and the inevitability of betrayal. Perhaps more importantly, it shows how the end of a friendship can lead to the collapse of a state. It’s a graduate course in nationalist revolution. Michael O’Meara writes in “Cú Chulainn in the GPO” in Toward the White Republic  that the violent birth of the Irish Republic was no accident. It the living out of a myth , a “noble Ireland won by violent, resolute, virile action” inspired by “millenarian Catholicism (with its martyrs), ancient pagan myth (with its heroes), and a spirit of redemptive violence (couched in every recess of Irish culture)” (p. 55). Earlier, we saw Collins leading an attack on an arsenal to capture weapons. He tells his guerrillas that they will be organized in “flying columns” and engage the enemy on nobody’s terms but their own. The resource conscious Collins warns them each gun must be expected to capture ten more. At the same time, he imposes a core of discipline typical of a standard army. Nationalists and dissenters sometimes look to asymmetrical warfare as an invincible tactic for defeating the system. In reality, it is the weapon of the weak, and the price of weakness is that you most often lose. A powerful system can infiltrate, subvert, and destroy revolutionary organizations through legal pressure on individuals, financial enticements to informers, and well trained double agents. It’s no coincidence that the quasi-government Southern Poverty Law Center openly styles itself as a secret police force with an “Intelligence Report” used to destroy the personal lives of people they don’t like. Part of this has to do with the utter corruption of the Irish nationalist movement in the decades after his death. So called Irish nationalists like Sinn Fein have been reduced to arguing that the Republic desperately needs more black immigrants. In the centuries-long struggle between Catholics and Protestants, the winners might be the Nigerians. The IRA’s assassination campaign imposes great costs on the Irish people as a whole. The arrival of the auxiliaries and the Black & Tans unquestionably made life more difficult for ordinary people. The murder of the Cairo Gang led the British to strike back in a wild frenzy at an Irish football game, leading to the deaths of many ordinary people who had nothing to do with the political struggle. 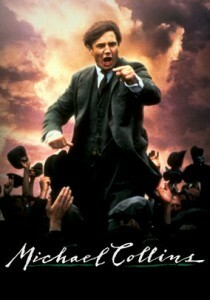 In the film, Collins rages at the brutality of the British. In practice, this is deeply dishonest. It’s only to be expected that the IRA’s campaign would lead to greater repression of the Irish people. 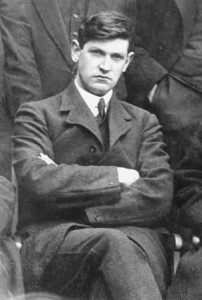 Several years ago, I recall that a white advocacy group fliers with pictures of Michael Collins in his Irish Free State uniform. Our sophisticated media and the well trained population immediately interpreted this as a picture of a “Nazi” in uniform, and there was the usual hysteria. This depressing anecdote shows that despite our information saturation, we live in a remarkably uninformed age. Even the millions of Americans of Irish descent have only the most distant knowledge of the Emerald Isle’s long struggle for independence.